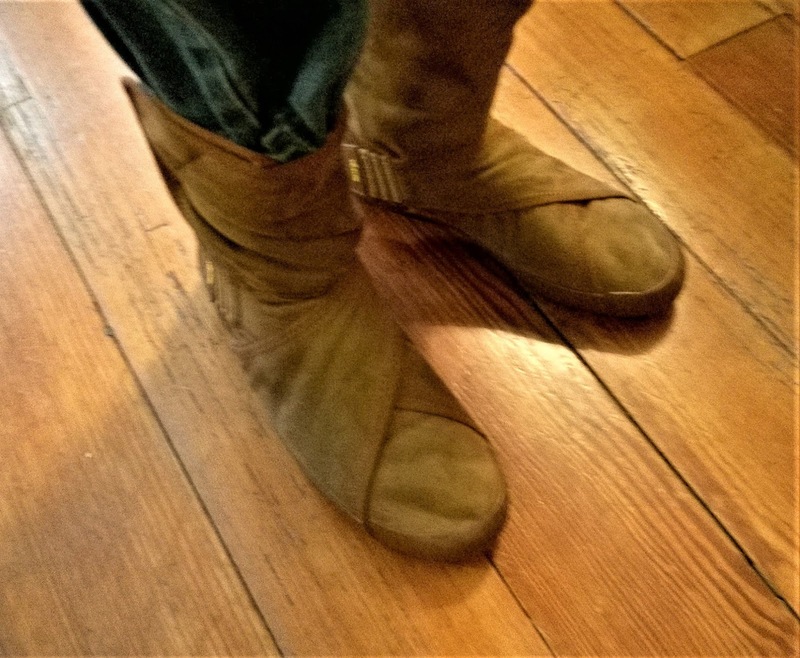 The Main Muse gave me a pair of Furoshiki wrapping soles for Christmas, and I was so impressed with them that I bought these boots for the trail. Warm and ultra-comfortable. They keep me feeling connected to the earth on uneven and slippery terrain. I'm spoiled for rigid footgear now. You can order Furoshiki directly from Vibram.